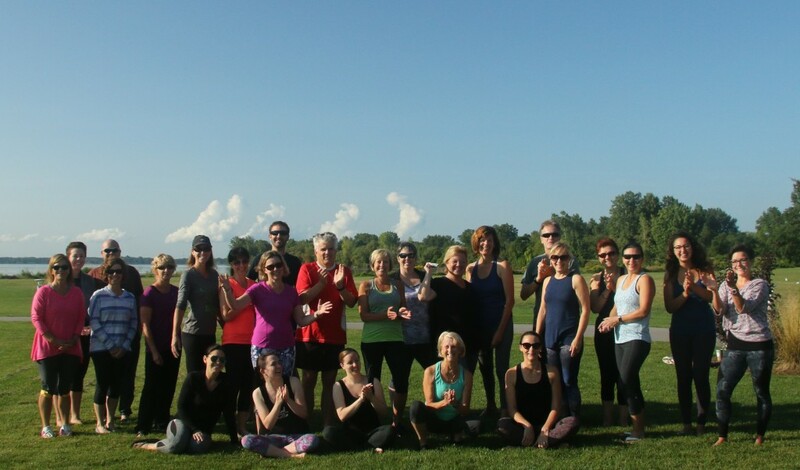 We Build Community: Community outreach is a major part of what we do at Get Yoga. 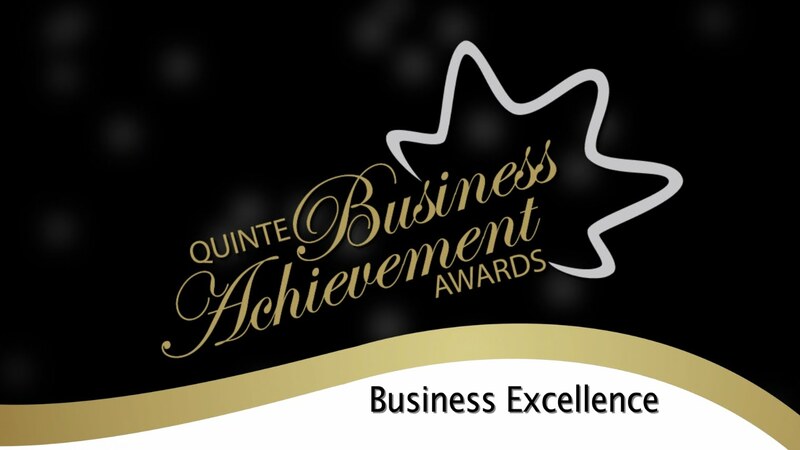 We work with many local organizations in the Quinte area to foster improved physical and mental health. Get Yoga is a community gathering place where people can learn and grow. Inclusive: Everyone is welcome. Our studio is a non competitive environment. We teach that internal experience is more important than external appearance when practicing yoga. Safe: We are proud to be the only dedicated Trauma Sensitive yoga studio in Canada. More and more doctors are recommending people try yoga to deal with stress related conditions. We offer a safe and supportive environment. Our teachers all take Trauma Sensitive Yoga training. Empowering: Everyone starts from where they are, and each person has the capacity to learn and grow in a way that is best suited to them. 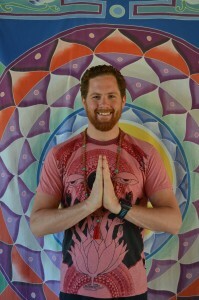 Hi, my name is Brendon Abram and I am pleased to be part of the growing yoga community here in Trenton. I have been practicing Yoga for over ten years. In February 2011, I completed a 200 hour registered yoga training program at Yandara Yoga Institute, and later completed my 500 hour teacher training certification. I am privileged to teach Mindful Yoga in Trenton to veterans of Canadian Forces operations who are recovering from PTS. I am trained by the Veterans Yoga Project and have taught yoga to United States Military veterans with PTS. I was also a member of a joint Queens University/ Royal Military College of Canada study team which undertook the first military sanctioned study (in Canada) on the effects that yoga may have on men and women recovering from exposure to operational trauma. I facilitate Trauma Sensitive Yoga teacher training on a regular basis. Brendon is the founder of Get Yoga. The Studio Above the Grind opened in January 2014. Enthusiasm for movement and exercise has always been a passion of Emma’s since a very young age. Emma began dancing at the age of four and continued to train and graduate with a BA honours majoring in Dance Performance from the School of Contemporary Dancers in affiliation with the University of Winnipeg. Emma began practicing yoga at Moksha Yoga Winnipeg and fell in love with it which led her to the Byron Bay Yoga Centre in Australia. Here she completed a 200- hour Yoga Alliance recognized teacher certification (RYT). 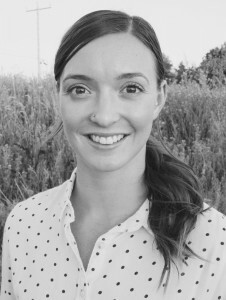 Since receiving her certification Emma has been teaching at various studios in Canada and continues to expand and grow as a teacher. She has since completed a 30-hour Yoga Alliance recognized Yin Yoga training with Joe Barnett in Ottawa. 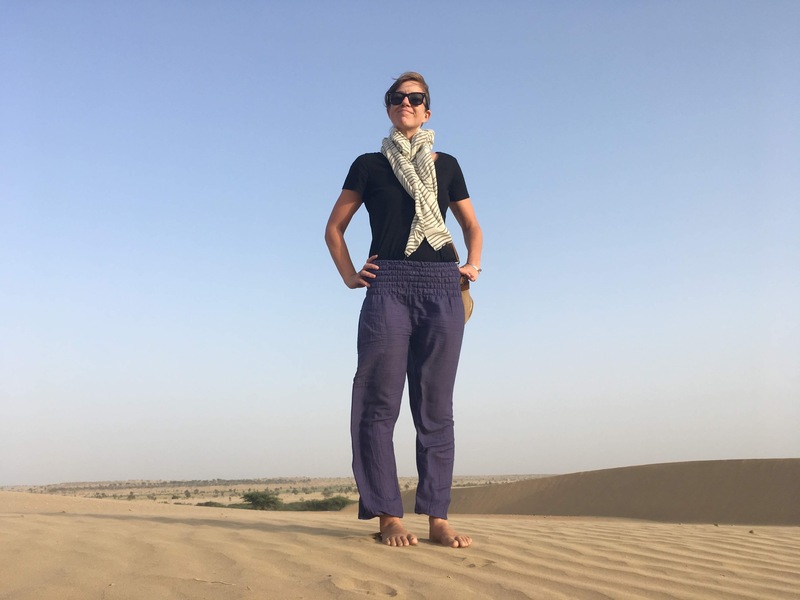 Emma has also recently completed school and is working full time as an Osteopathic Manual Practitioner as well a practicing Traditional Thai Yoga Massage. She had the opportunity to attend training at the National Academy of Osteopathy in Toronto as well as the Old Medicine Hospital Thai Massage School in Chiang Mai, Thailand. Emma has a fun loving spirit and it shows in her playful sequencing and teaching. Jenny quickly realized the benefits of practicing yoga and was amazed at how she would go into a class tired and battling a headache and leave feeling energized. Her goal is to offer this same transformation to others by creating classes that are enriching for the mind, body and spirit. Over the years she has focused primarily on practicing Hatha Yoga but has also practiced Kundalini Yoga, which gave her a deep appreciation for meditation and the use of sound to encourage healing and relaxation. 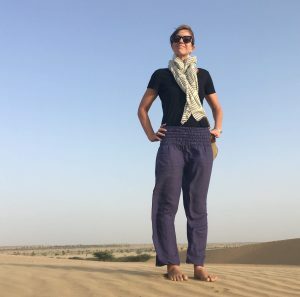 In 2013 she completed her 200 hour Hatha Yoga Teaching Certification at PranaShanti Yoga Centre in Ottawa and continues to further her training through weekend workshops, master classes and self study. A true believer that yoga is for everyone, she encourages beginners to try out a few classes and will create an inviting atmosphere for all who practice with her. Jenny has a strong desire to help her students, beginner to intermediate, achieve their personal wellness goals. She feels very fortunate to teach and share her passion for yoga and is thrilled to be part of this growing yoga community in Trenton. 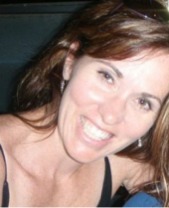 Joanne Manzara is a Registered Yoga Teacher (RYT) 200 certified Yoga Teacher. Her personal yoga practice began 15 years ago when a friend took her to a class. This is where Joanne found her love for yoga. Through Yoga, Joanne began to find the inner peace of Yoga begin to trickle into each aspect of her life. The more classes Joanne attended, the more balance she began to feel in her everyday life. Cathy Ireland Completed Yoga Certification, 225 Hour Level – Yoga Alliance Certified Teacher Program, through Spynga Inc in Toronto. October 2015. She earned additional qualifications in Chair Yoga in 2017. Cathy has been practicing yoga since 1999. As a single mom she found yoga provided a much needed reprieve from the challenges of life. Later she also saw the benefit of yoga when integrated into her running and spinning exercise regime. In 2014 she and her husband attended a year long yoga journal program which resulted in her decision to take yoga to a deeper level by enrolling in the teacher training program. Her goal in doing so was to learn more about yoga philosophy and to more fully develop her practice and commitment to her own practice. Cathy is passionate about sharing with others as she continues to learn. She is enthusiastic to help others develop their own sustainable practice, achieve greater flexibility, inner peace and/or life balance. Paul first started practicing Yoga in 2010. 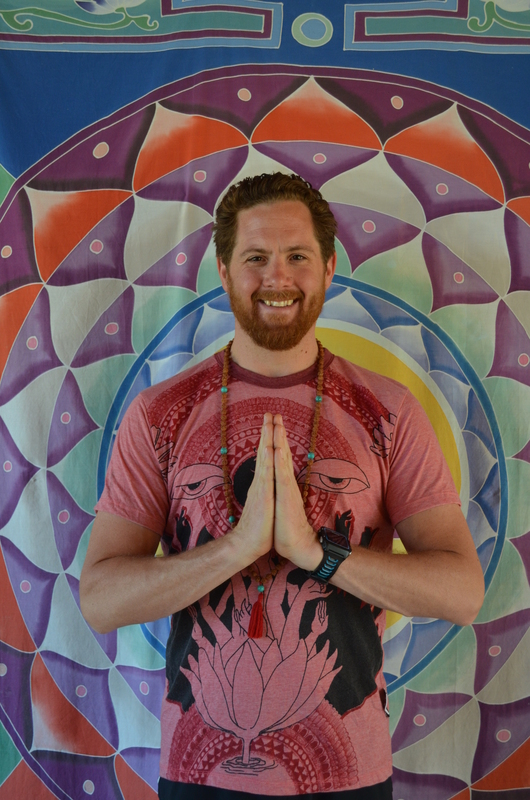 Wanting to strengthen his personal practice, he took the advice of Brendon Abram and completed his yoga teacher training at Yandara Yoga Institute in Baja Mexico in 2015. Paul views asana practice as only a small part of the yoga journey, and believes that the style of asanas that one practices should promote mind body balance with the rest of life. Being a very active person, Paul gravitates towards more therapeutic styles of yoga to promote his mental, physical, and spiritual wellbeing. 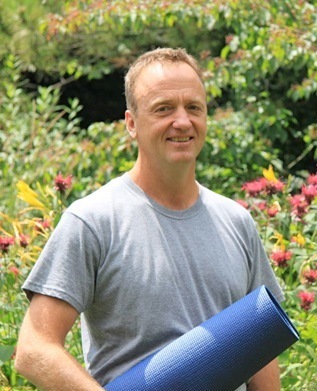 Paul is a registered yoga teacher (RYT-200) with an additional 100 hours of advanced teacher training in Yin, Restorative and Bakthi Yoga. 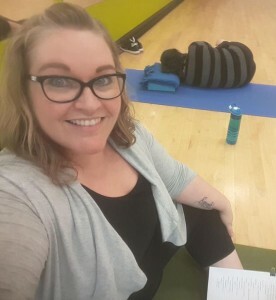 As a Health at Every Size (HAES) informed yoga teacher, I take my personal experience with body image and body positivity onto the mat in a focused way. I believe we all deserve the opportunity to explore yoga regardless of perceived physical limitations. As a #plussizeyogi myself who has shoulder, back and knee issues I always teach from a place of mental and physical safety with those concerns taken into account. I pass along the knowledge I’ve learned from my personal yoga practice and years of adapting poses to fit my body. I would love for people who’ve never tried yoga because of self doubt, body image issues or uncertainty about the adaptability to come and experience one of my classes and see if it’s for them! When Britt started coming to her mat in 2010, she thought of yoga as purely a physical workout. She soon realized that along with greatly improving her health, yoga was opening up new dimensions in her life she never dreamed possible. 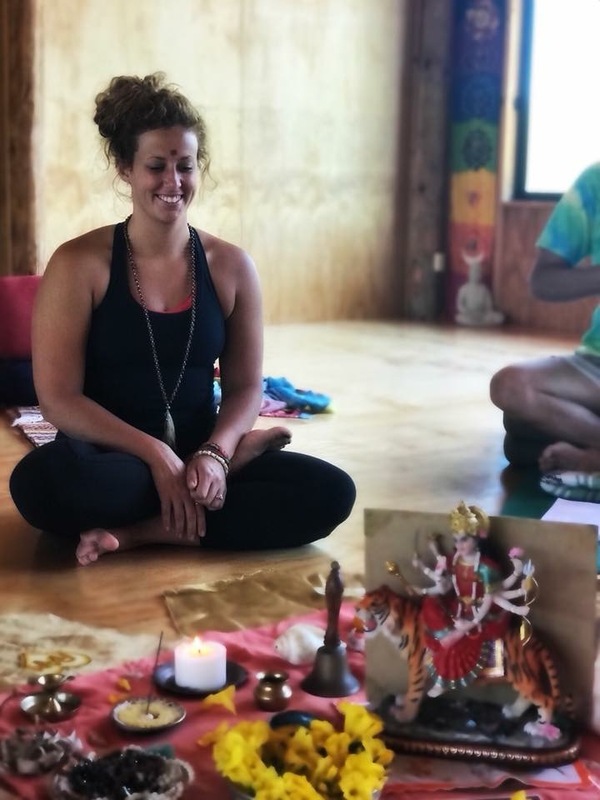 This realization lead Britt to the foothills of the Himalayan mountains a few years later where she completed her first training (RTY-200) in the small village of Rishikesh located in Northern India. She has since studied at Yandara Yoga Institute in Baja, Mexico and received her advanced teacher certification (RYT-300). Britt’s passions lie within Vinyasa, Hatha, Yin, Restorative and Bhakti Yoga, the yoga of devotion. Her playful, compassionate and relaxed personality is brought forth to her classes to create a safe, judgement-free zone where people can explore themselves and take what they need from their yoga practice. Hi! I’m Caitlin, an avid yogi ready to share this practice with anyone and everyone! Yoga has been a regular part of my life for the last 7 years. My practice has helped me grow stronger, more flexible and fearless, both on and off the mat. I really love yoga for the simple fact that it makes me feel good and allows me to eat more pie. I completed my 200 hour multi-style teacher training with Siddhi Yoga, in Dharamshala, India. I will always be a student of the practice and am deeply grateful for the loving wisdom my teachers have shared with me. In my classes, I love to mix a spirit of playfulness with a dose of inspiration to help you deepen your practice. I seek to help others thrive by nurturing body, mind and soul with yoga, and my hope is that you step off the mat feeling refreshed, nourished and balanced. After years of loving yoga, Leslie took the plunge and completed her 200 hour yoga teacher training with instructor Scott Nanamura at the Yoga Farm in Punta Banco, Costa Rica. She continued her studies at Kripalu Centre for Yoga in Massachusetts with an additional 150 hours of training in advanced asana, pranayama, and meditation. Leslie believes strongly that yoga should be accessible to everybody, and offers classes with many options so they will be appropriate for beginners, or those looking to deepen their practice. She looks forward to sharing with students how the lessons we learn in yoga class can be taken off the mat and into our everyday lives. Leslie is a nature photographer and educator who loves sharing the amazing world of wildlife with others. She and Brendon have two wonderful children, Paul and Allie. They also share 3 cats Miikka, Dot and Jojo, and a dog Walter, who works with Leslie as a St. John Ambulance therapy dog team in our community. 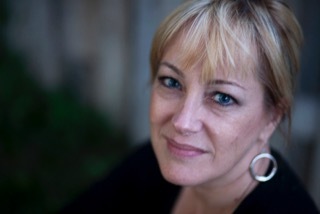 Leslie is the owner and manager of Get Yoga.